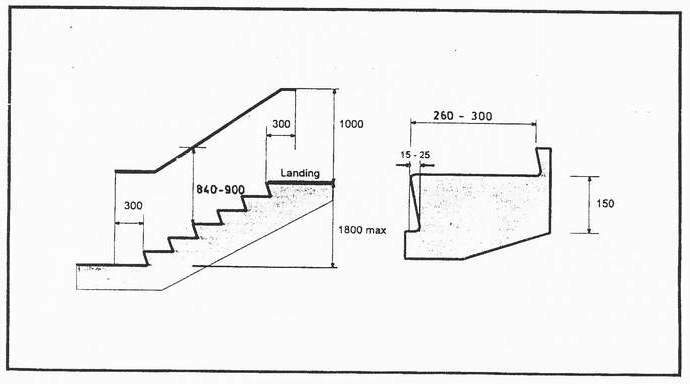 A flight of stairs should have uniform risers and treads. A flight of stair should be of gentle gradient. A flight of stairs should have no open risers. Nosings of stairs should project as little as possible. Handrails for stairs should be installed on both sides and continuously. Handrails for stairs should be easily gripped at a suitable height from the stair going. Handrails for stair should extend beyond the top and bottom of the stairs. The rise of flight between landings should be of an appropriate height. Other requirements for handrails should comply with the guidelines for "Handrails". 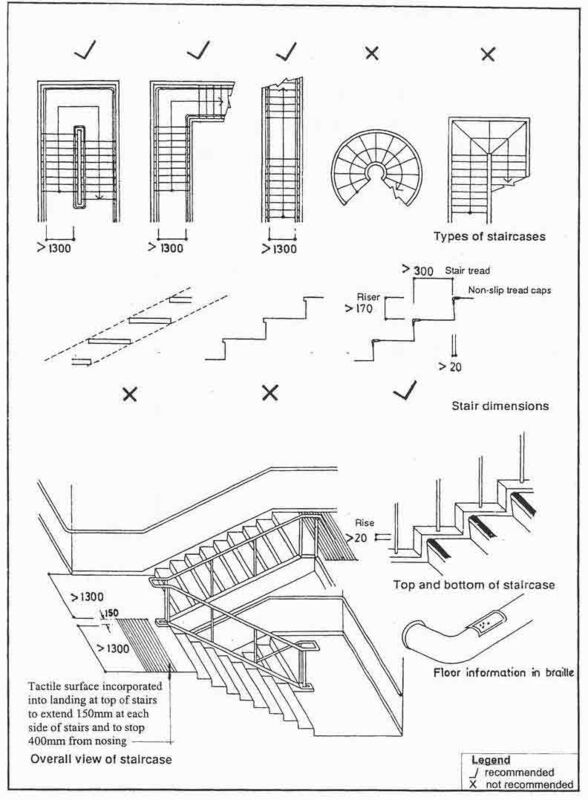 Treads of stairs should comply with the guildelines for "Ground and Floor Surfaces". Stair edges should be in bright contrasting colours. Stairs should be adequately illuminated.